What is more of a summer thought than that of grilling up dinner? Ram has released a new video of them talking about grilling, only in this case, it’s the kind that is at the front of the truck. The Ram Rebel is the newest Ram truck and one of the most noticeable things off the bat is that Ram has a beefy new front grille for it. In the newly released video, engineers at Ram are interviewed on the history of the Ram grille. While the grille is certainly iconic now, it wasn’t that major back then. 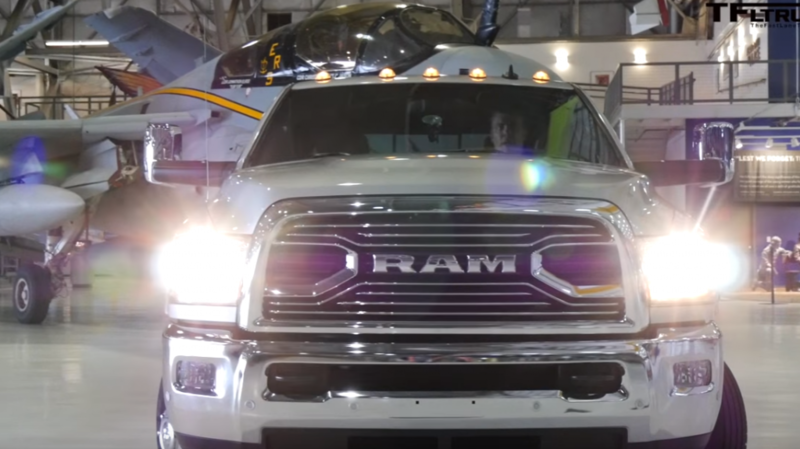 A Ram truck’s grille was changed every two to three years and it was usually just the insert or the headlights that changed. In 1994, Ram introduced the grille as we know it today. It was a shoot in the arm for the truck market and gave Ram trucks a unique look with the crosshair design. 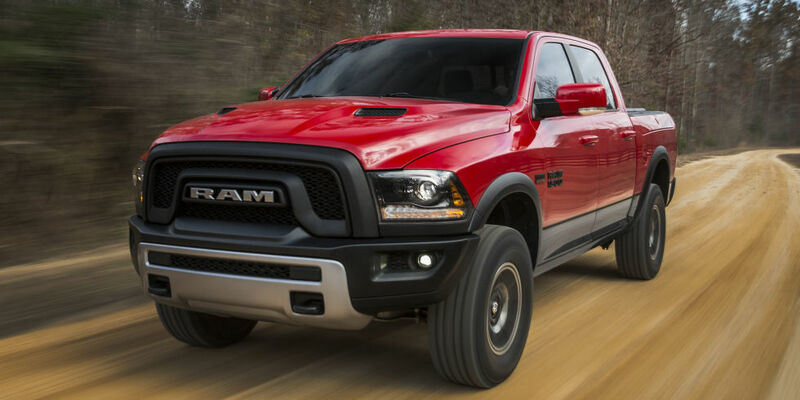 Ram challenged their engineers and designers to shake up the front grille for the new Rebel. To get to the end result that we see now, they thought of what was going on today. Michael Gillam, Senior Creative Designer at Ram Truck Studios, points to the recent beard craze that got them thinking of what a beard would look like on a truck. Now that you know that, it’s impossible to unsee it on the Rebel. When someone does something good for it, it’s only proper and polite to write a thank-you note. Now, in this case the someone is Texas and the ones writing a thank-you note is Ram. They owe the state a big ol’ piece of gratitude. The problem is that it doesn’t seem possible to mail out individual letters to each and every resident of the state, so a more creative means needs to be devised. Not too long ago, the Ram 1500 was named by the Texas Auto Writers Association to be the “2013 Truck of Texas.” The reasoning behind this choice was thanks to the amazing 3.6-liter Pentastar V6 engine as well as the Best-in-Class fuel efficiency. 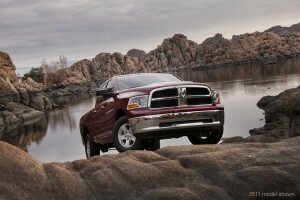 For more information on the Ram 1500, contact us at Bayside Chrysler Jeep Dodge. You can view our new and used inventory online. Be sure to like our Facebook page and follow us on Twitter to see our monthly specials. 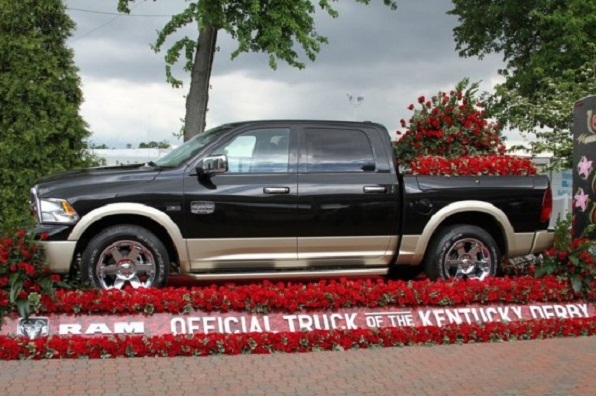 This weekend is the Kentucky Derby, and as people are placing their bets and predicting the winner, Ram is getting ready for its fourth consecutive year as the Derby’s official sponsor. For years, Ram’s line-up has catered to a variety of needs from light-duty truck for trailers and ATVs to heavy-duty trucks built for towing horse trailers. They understand the needs of truck drivers and more specifically of horse trainers and owners. Ram’s sponsorship of the Kentucky Derby is the perfect match between product and event, a partnership that will hopefully continue for years to come. The Kentucky Derby will air live on NBC from 4 PM to 7 PM eastern time. 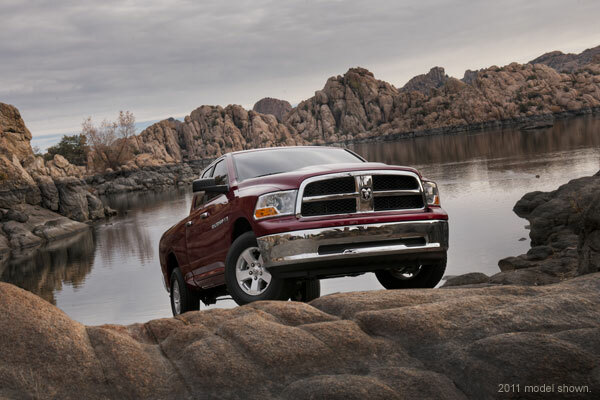 To view our Ram line-up, go online to Bayside Chrysler Jeep Dodge. 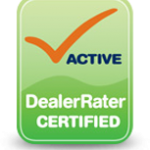 Our entire new and pre-owned inventory is also viewable. Like us on Facebook, follow us on Twitter, and subscribe to us on YouTube for more Ram news and for monthly parts and service specials. Today starts the Ram Showcase Event for the month of March. Ram will be running new promotions looking to get people driving away in their favorite model. The event runs until April 1st, 2012 with deals on the Ram LD Quad Cab. Be sure to check out the commercials airing in support of the event! Go to Bayside’s website to see the full details. Follow them on Facebook and Twitter to stay up to date on all the news concerning the event!